Just one gals opinion….Beer: Whats Good? Where can I get it? Beer Events? Reviews I can understand even when drunk! Aloha! The Bierlady goes Hawaiian! 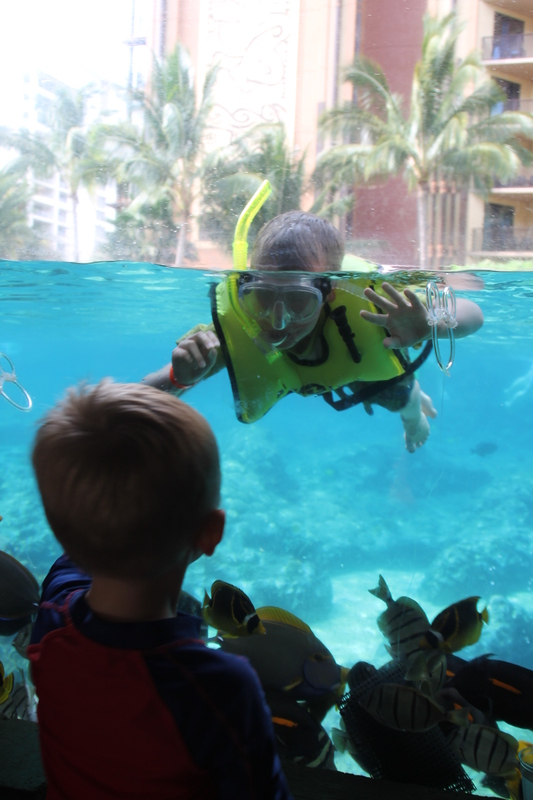 The resort is almost beyond describing, not just the actual look of it, the countless pools, the private beach, the outdoor movies, the onsite luau, the games, the spa, a place to swim with fish and even Aunty’s Beach House a place you could if you wanted leave your children from 930am to 9pm for free! And trust me your kids will love you for it. I can’t say we left our boys longer than to get a massage and one day to drive to Waikiki another but what a lovely perk for us and them. Yes the resort it pricy if you don’t work for the company, but it truly is a spot where you get what you pay for. Every single cast member had a smile, an “Aloha” and was there to help. Anything you needed anytime they did it. Seriously a 5 star place. I wont go into too much detail since this is a beer blog but feel free to look me up on Trip Advisor. I will have more “hotel” details there. The first evening we enjoyed our gorgeous view and what else? 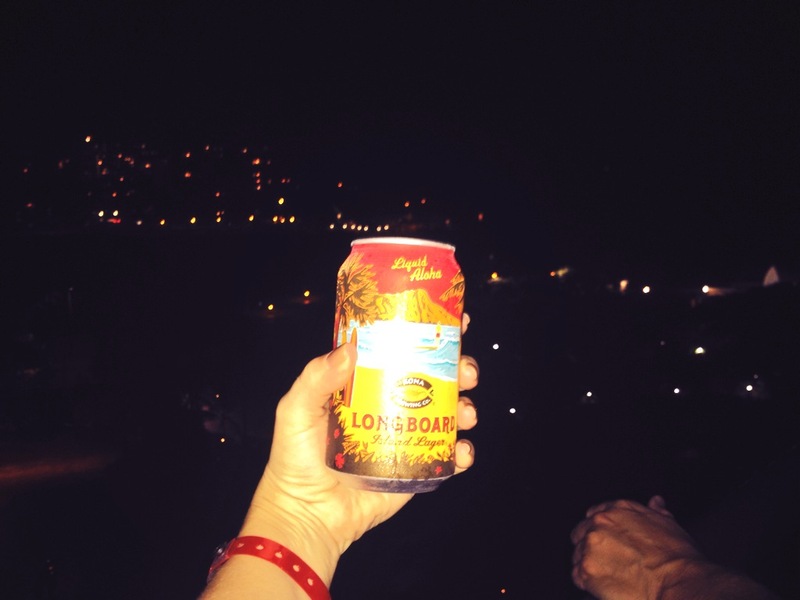 A Kona Longboard on our balcony. 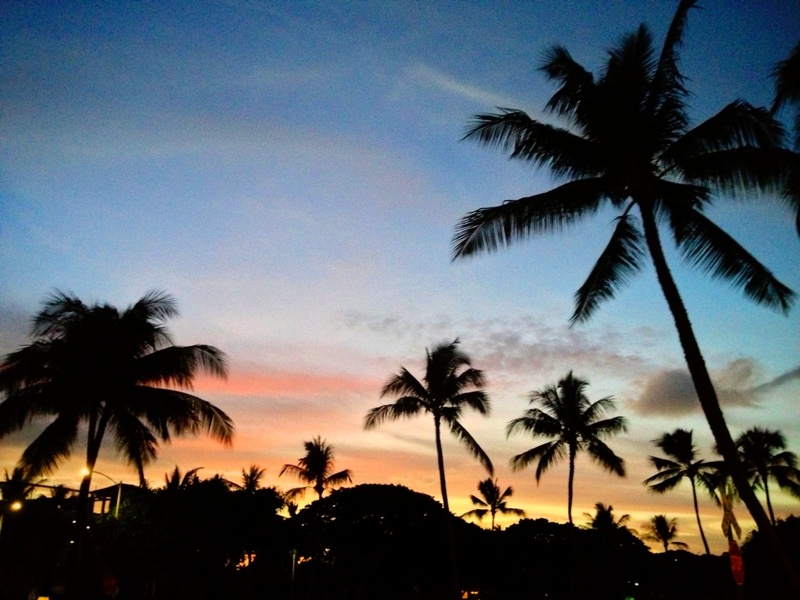 Welcome to Hawaii! The Bierlady had arrived! Alooooooooooooooooooha! The first morning we were there we got caught up in the time change so the family was up at 4:30am which wasn’t a bad thing as we were down at the beach by 5am so watch the Moon go down and the sun come up. Spectacular view! 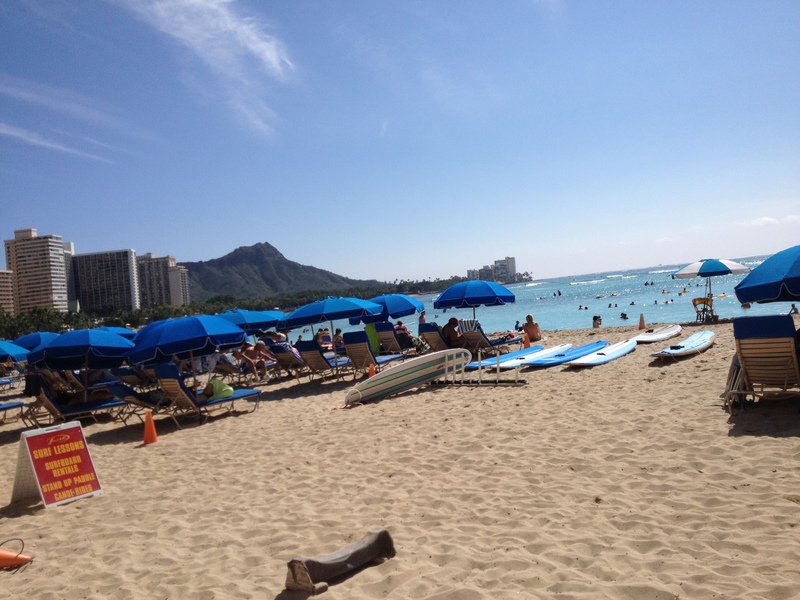 We spent that day on the private beach where they had paddleboards, and kayaks and snorkeling and sand toys. Then just a few stairs up we could go in one of the many pools. 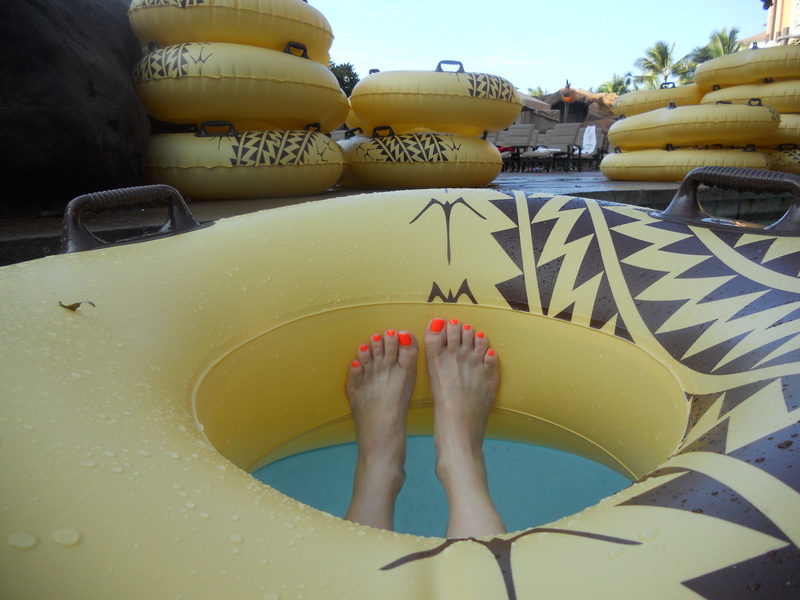 Our favorite was the lazy river that allowed you to just float in a tropical circle, or if you want to go down the greatest water slide ever. 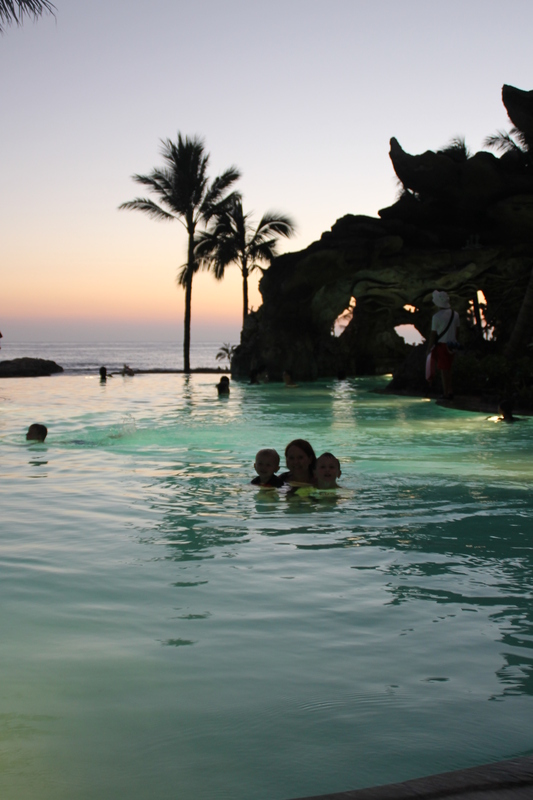 There are private adult only pools and hot tubs but don’t be fooled there are still kids all around. Im not saying you should not go without kids, but if I were just a couple not a foursome I may find another secluded island to hang out on. BUT this resort can’t be beat so I see the appeal. 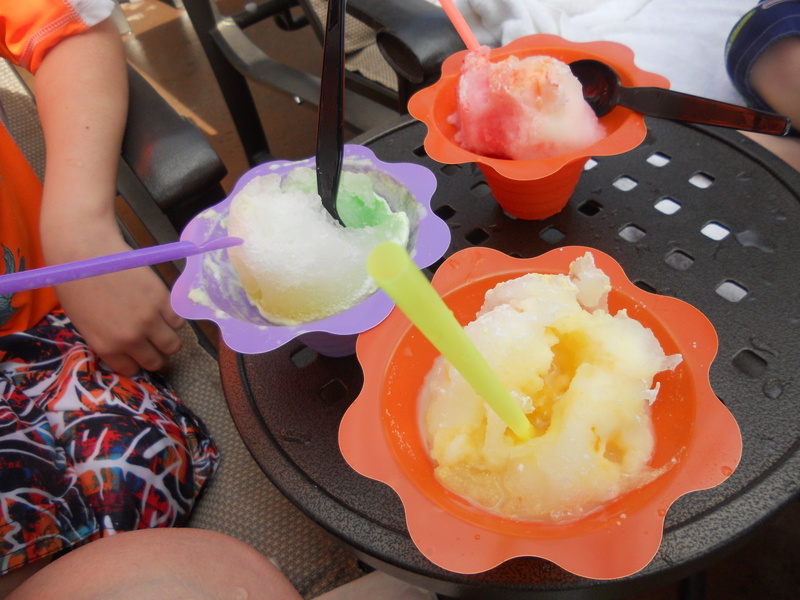 Out by the pool they had take away food and most importantly the SHAVE ICE stand. Now don’t get caught saying “SHAVED ice” no “D”. 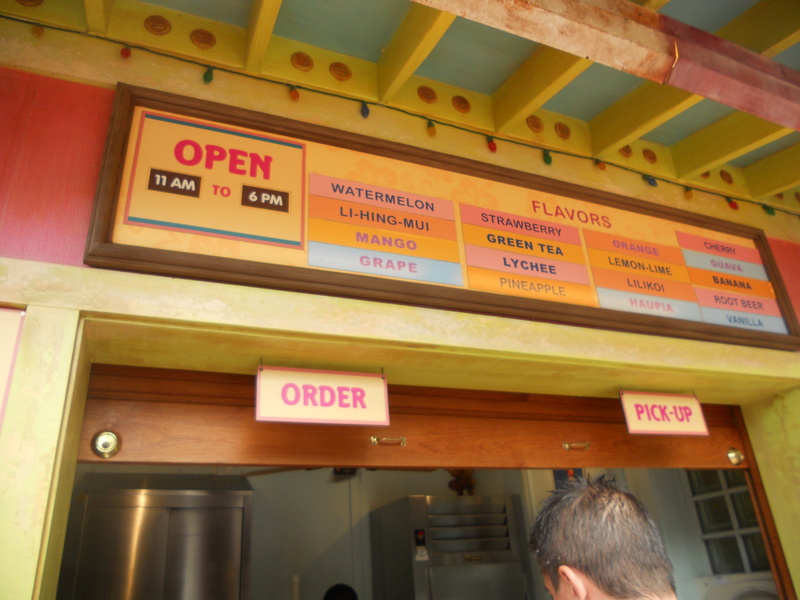 Shave ice, bro. We enjoyed three different flavors with the incredible..ahem…fat free…cause its vacation right?….condensed milk all over the top. My youngest son is three. So he didn’t get too adventurous but he loved his “watermelon and strawberry” ice. Wait Griff you get three flavors…”oh okay strawberry and watermelon and strawberry”. Fair enough it’s your vacation too. Inside the Aulani is amazing architecture, fine dining and a pretty decent buffet. It was $40 for adults (kids can order ala carte much cheaper) and I’m pretty sure we ate $40 worth of sushi alone. So it was worth it. I wont go on about details you can read on their website, but a few things I noticed that weren’t on the site, they have laundry. Found that the last day. Oh well. For 3 tokens (ala $3) you can wash your suitcase and dry for the same. I will bring less clothes next time. More room coming home for chocolate covered macadamia nuts. Also saw they have BBQ grills you can use. See here’s the thing the food may be pricey there but they don’t force you to eat it. Our room had a fridge, coffee pot with new coffee everyday, a toaster, a microwave and plates and silverware. There is a small grocery store across the street for the basics and more… and if you have a car or rent one there 1 exit down is a Safeway, a Kmart and a Target. (Note we got our Hawaiian shirts there, cheaper!). Again found the grills the 2nd to last night or we would have bought steaks. 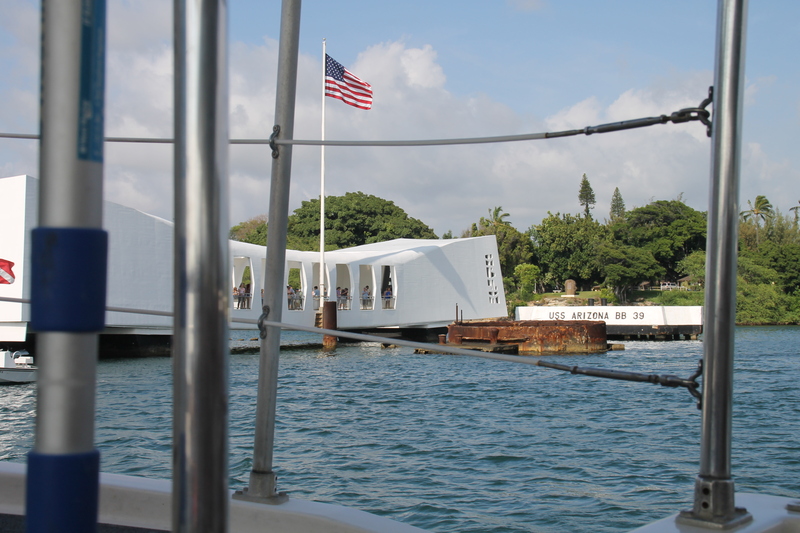 We only rented a car two days while we were there to go out to see Pearl Harbor. http://www.nps.gov/valr/index.htm A sobering and incredible experience. And the Dole Pineapple Plantation, http://www.dole-plantation.com/ a destination on my own personal bucket list. After I ate my body weight in pineapple, we took the kids on their Pineapple Express a 20min train ride around the fields. 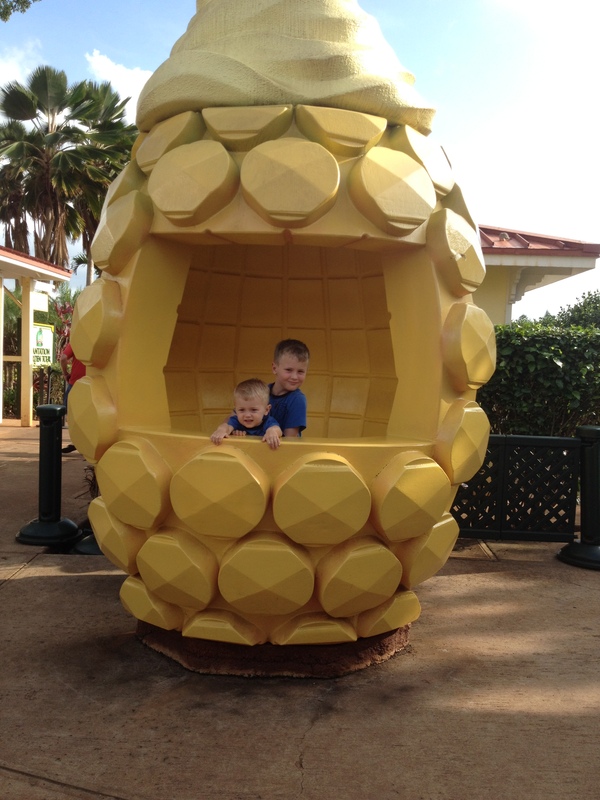 We also went in the Pineapple Maze. The worlds apparently largest. I would say um….without being negative….hey try the train! We made it up it Waimea Falls http://www.hawaiiweb.com/waimea-valley-adventure-park-o-ahu.html only to find out the way to the falls closed at 5 and we arrived at 4 and there was an apparent 30 min walk to the actual falls. So we decided that wasn’t enough time. Which ended up being okay as my 3 year old took a header outside the Falls area and we were on a mad scavenger hunt to find bandaids. I found myself checking in on Facebook at “Some Random Longs Drugs In Paradise”. The North shore. Gorgeous. For those who know CA beaches this is like Hermosa or Venice. Real beach people. Walking around no shoes. Shaka man. Shaka. So 10 years later we found ourselves at the one in Hawaii! And low and behold they had a BEER SAMPLER! The Bierlady was whole again! There were four beers and I loved them all. 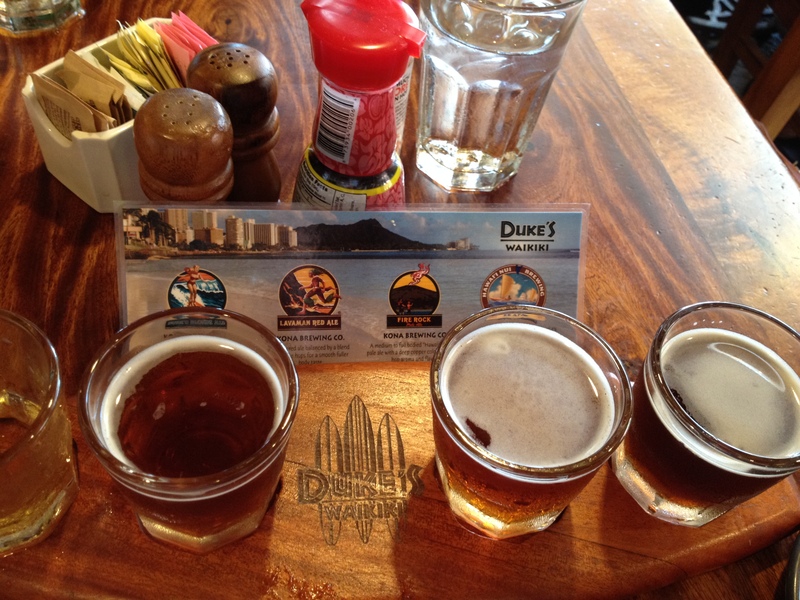 The first was a lighter beer from KONA called Dukes Blond Ale. What a GREAT beer. I had a pint of it after my sampler. I was sad to hear you can only get it at Dukes but hey that’s what I came for to try beers I can’t get at home. 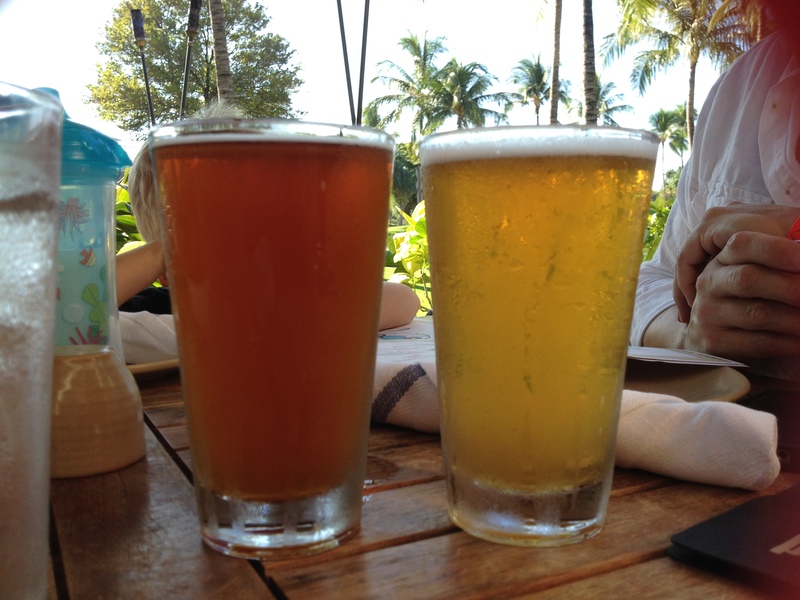 The second was KONA’s Lavaman Red Ale, a tasty red, but when has Kona let me down? I haven’t seen this one in LA but I will keep a look out for it! Looks like its only a draft beer as well. 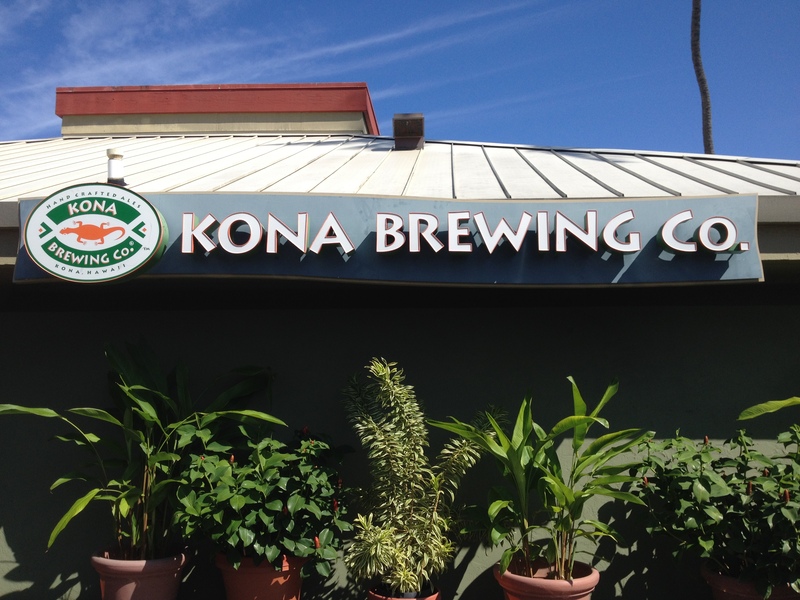 http://konabrewingco.com/our-pubs/draft-only-beers/ The next was KONA’s Firerock. This one you can find in a Kona Variety pack with Longboard, Big Wave, and whatever the seasonal brew is. I like Firerock normally, but loved it on tap. Made a difference. I mean sure draft beer is always better, but this almost took a slight bit of the hoppy flavor and smoothed it out vs bottle. 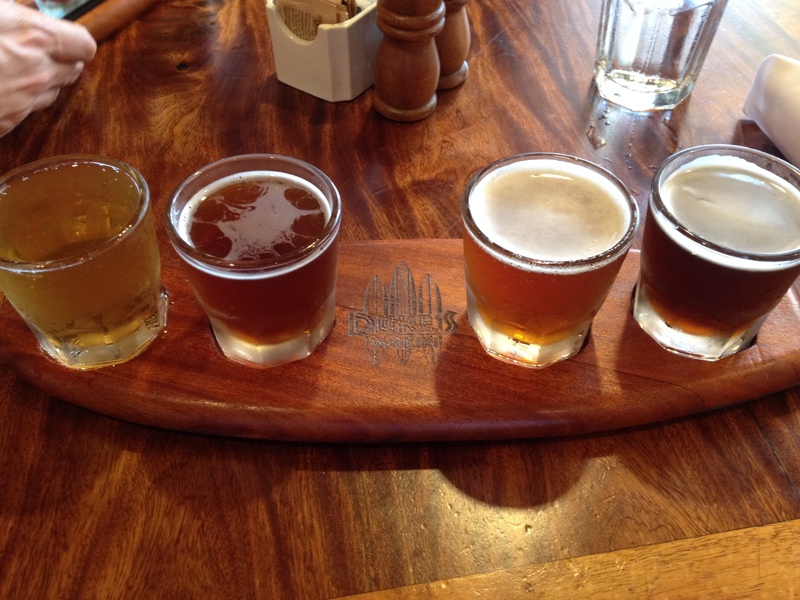 And the final beer on my sampler was Hawaii Nui Brewing Hapa Brown ale. http://hawaiinuibrewing.com/ A really tasty brown with that “Hawaii” taste to it. I can’t explain it. I like a good brown on a cold day but this you want to drink on the beach! I would not have believed it was ABV 6.4% tasted lighter! 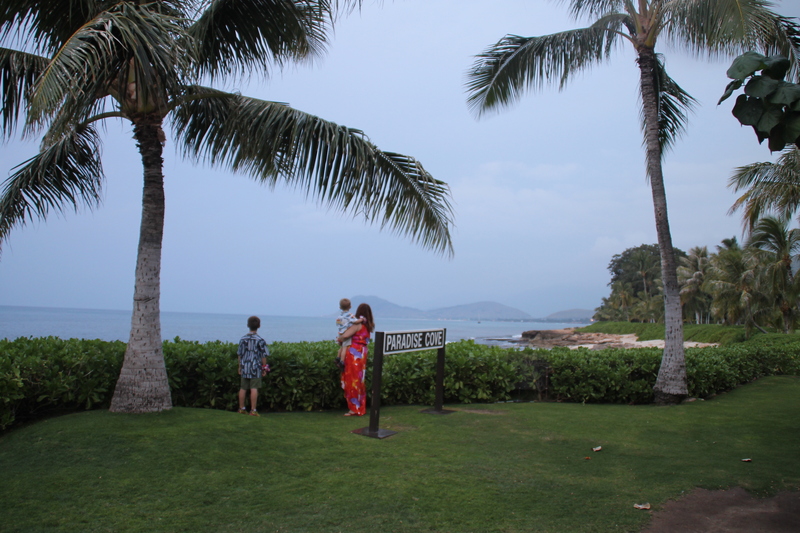 The next day we went to a Luau at Paradise Cove. http://www.paradisecovehawaii.com/index.htm It was just a 5 min walk from our resort, but they have busses that bring in 100’s and during peak season over 1000 people a night! It was so worth it. 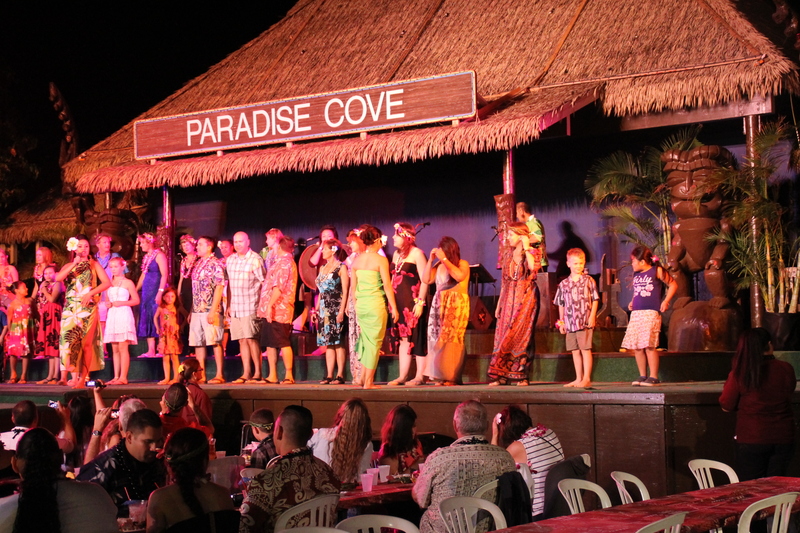 If you want a great luau in Hawaii this is it. I mean it was a Vegas Lounge act for sure. And I say that in the highest compliment. But it was more than a show. It was an experience. We arrived at 5pm, greeted with Mai Tais (kids too no boozy) and taken onto the beach. There we found games for all of us, tattoos, dancing, lei making, hat making, kayak riding, turtle watching. So much to do! 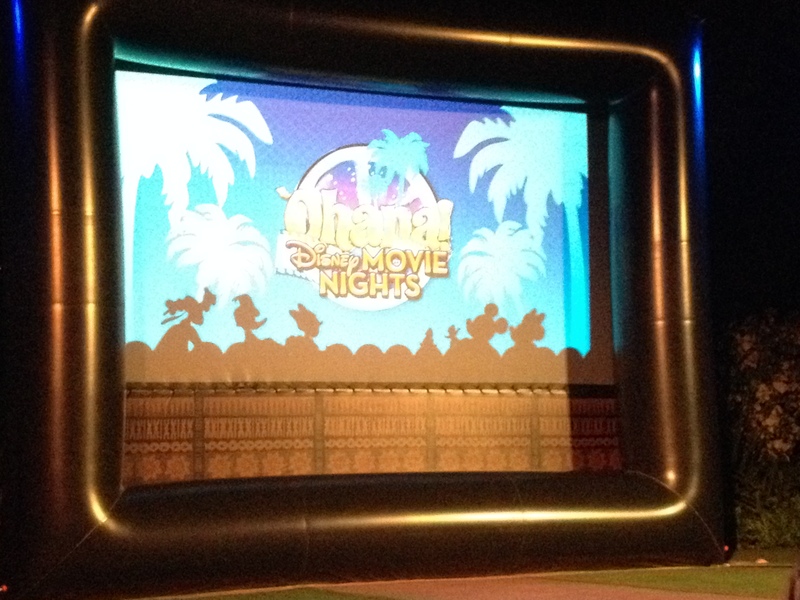 Then about 6pm they started their preshow. It had a man climbing up a huge Palm tree and raining flowers down on us, coconut shucking, the infamous Pig being brought out of the ground, and a show with “volunteers” from the audience bringing in the “fish net” and doing their own show on the beach. Yes Mr. Beerman was a volunteer, I mean after 3 Mai Tai’s what wont he do if asked nicely? He was hilarious. I am forbidden to post pictures as hes in a skirt and no shirt. But safe to say it was a memory my children will treasure. At 7pm it was on to the real show. 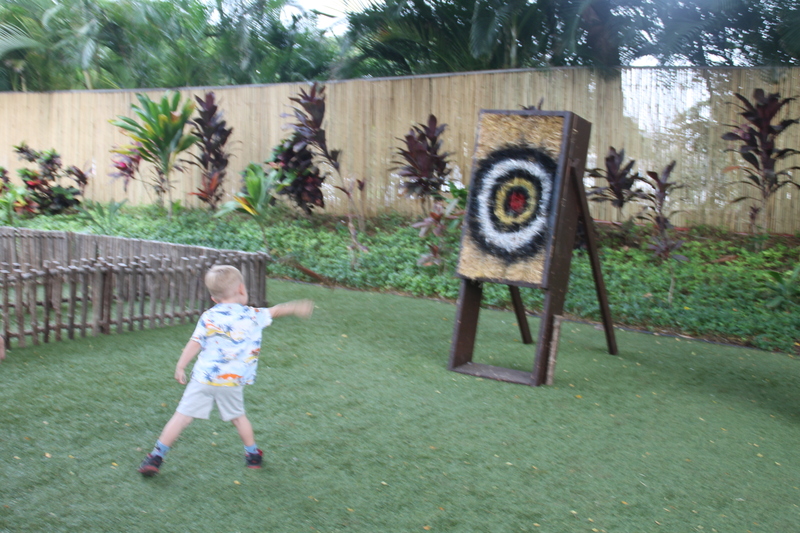 Complete with hula dancing (my older son 7 years got up on stage and danced), fire juggling, the whole luau experience. It was all complete by about 8:15 and I can’t speak highly of it enough! I won’t lie I did drink more tropical rum drinks this trip than beer. But I tried. 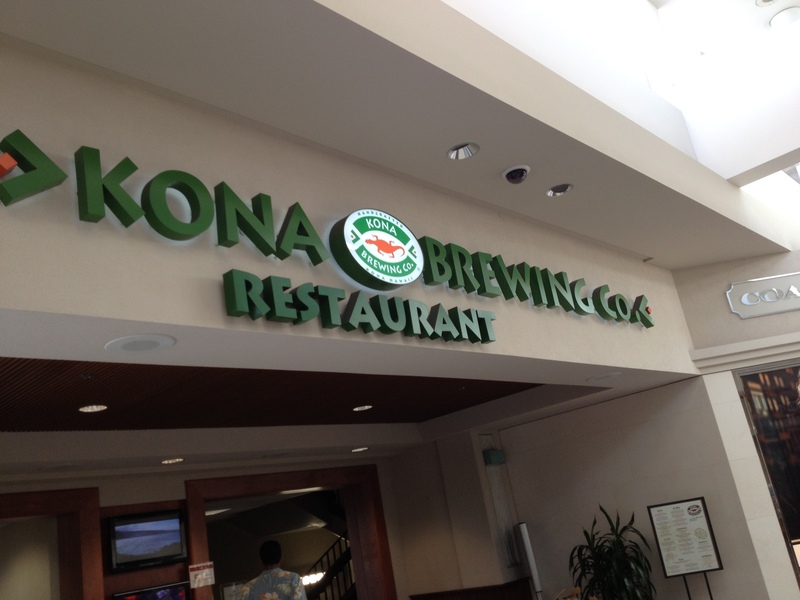 The last thing I did in fact was stop at the KONA BREWING at the Honolulu Airport to have one last Longboard on Draft. It really is THAT good. It was the experience of a lifetime. 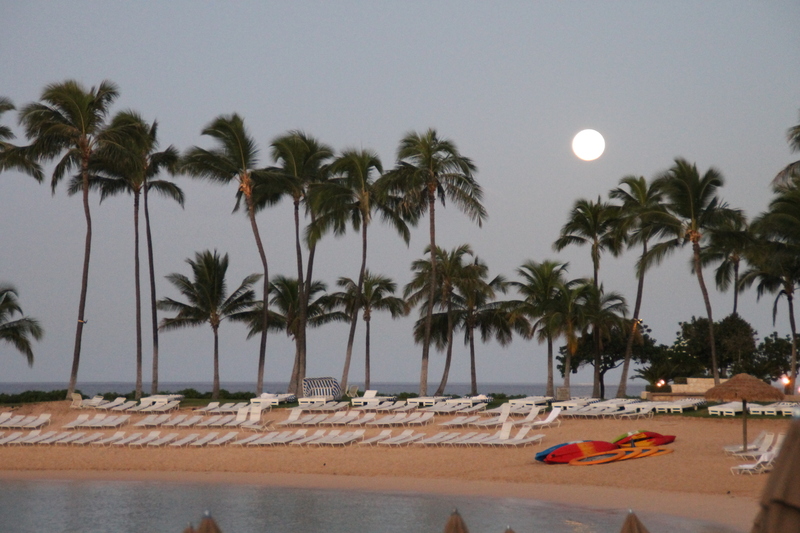 Maholo, Hawaii from our entire family! *all pictures in the blog are from our camera! 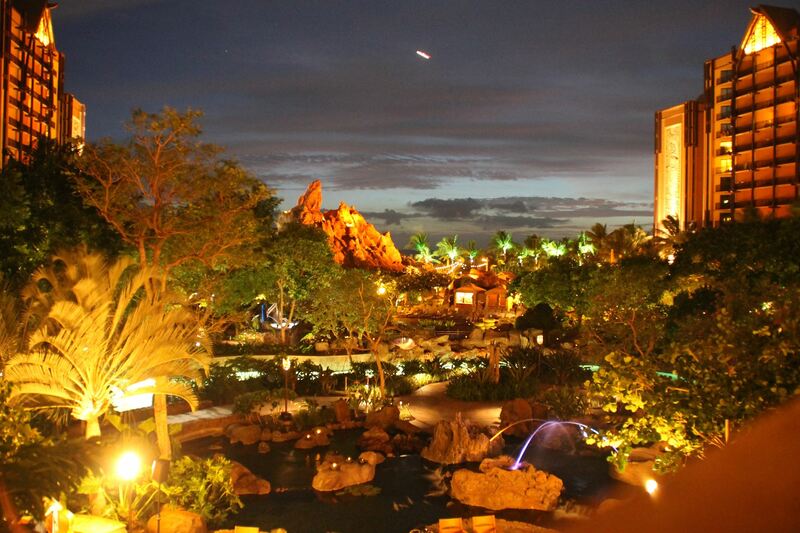 Even the fancy one of Aulani at night! Thank you Lets Make a Deal & Wayne Brady for the trip and our new fancy camera! Some of the Best Beer Ive ever had…I found in Glendale…Wisconsin.